Business Insider/Mary HanburyRows of Zara coats are checked by hand. Zara and its parent company, Inditex, have their global headquarters in Arteixo, a small town on the northwest coast of Spain. Inditex is considered the largest fashion retailer on the planet, turning out more than $US30 billion in sales in 2017. 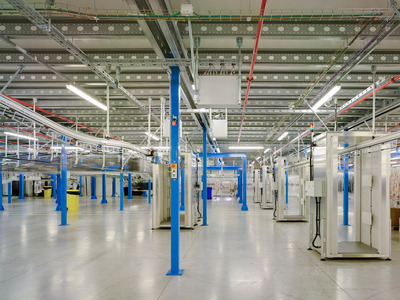 More than 5,000 employees across various departments work here. 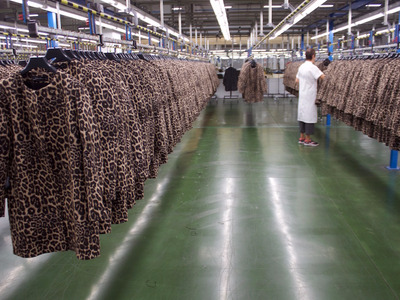 The site is also home to 10 of Zara’s factories and its largest distribution center, which is responsible for shipping the retailer’s clothing to 96 different countries around the world. 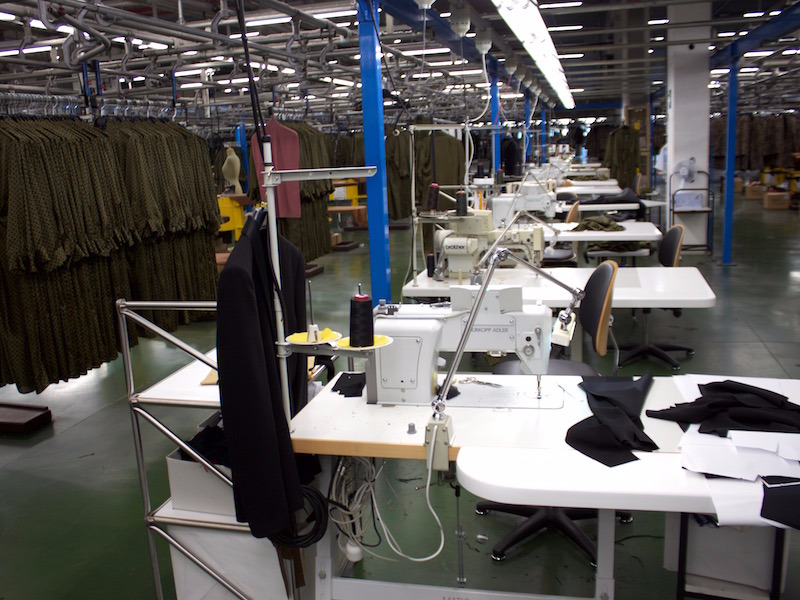 Here’s what it is like to visit the factories and distribution centres that allow Zara to compete in the fast-fashion race. READ MORE: About what it’s like in the area of Spain that revolves around Zara. There are 2,238 Zara stores in 96 different countries around the world, each receiving shipments of new items twice a week. Every single piece of clothing passes through one of Zara’s four distribution centres across Spain. We visited the largest of all, located in Zara’s main headquarters in the small town of Arteixo, in the north of Spain. This area of the country is home to its founder, Amancio Ortega, and the first Zara store. 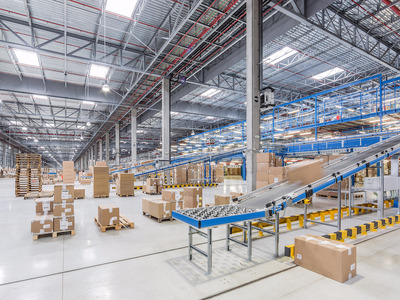 Today, over 5,000 people work at this sprawling headquarters across different realms of the business, from design, photography, and modelling, to its factories and logistics platforms, which manufacture and distribute Zara clothing around the world. The story begins in the heart of Zara’s headquarters, where its 300-person design team is leafing through trend-forecasting books and putting together mood boards for the store’s next collection. Once a design is created, it is taken to a team of pattern cutters just meters away, who put together the first prototypes. Once the prototype has been created, it is tested on models who are also full-time Inditex employees working in other areas of the fashion department. These are almost 10 models there to test the various collections of men’s and women’s clothing, a spokesperson for Inditex told Business Insider. 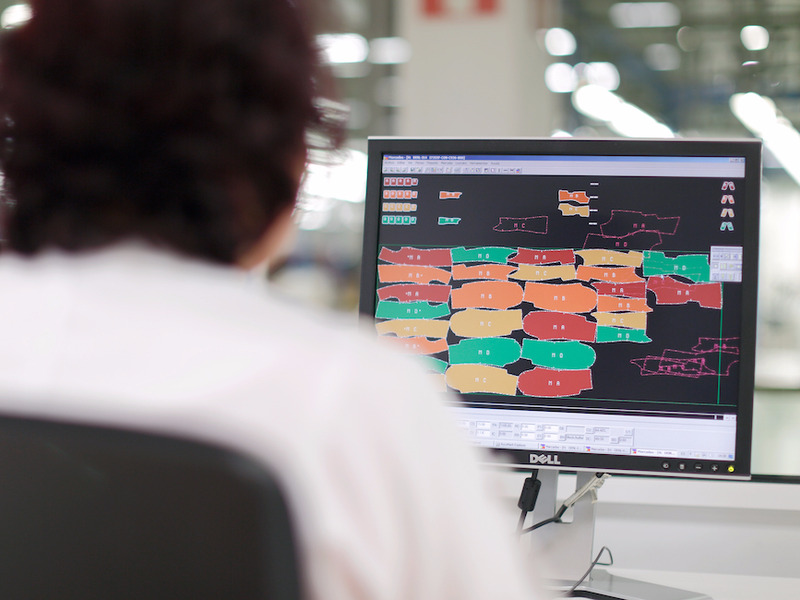 Once the prototype has been signed off on, a digitalized pattern is sent to one of its factories. Its sprawling, 860,000-square-foot campus is home to 10 different factories, which manufacture Zara’s most fashion-forward items of clothing – basically, the products that need more attention, a spokesperson said. 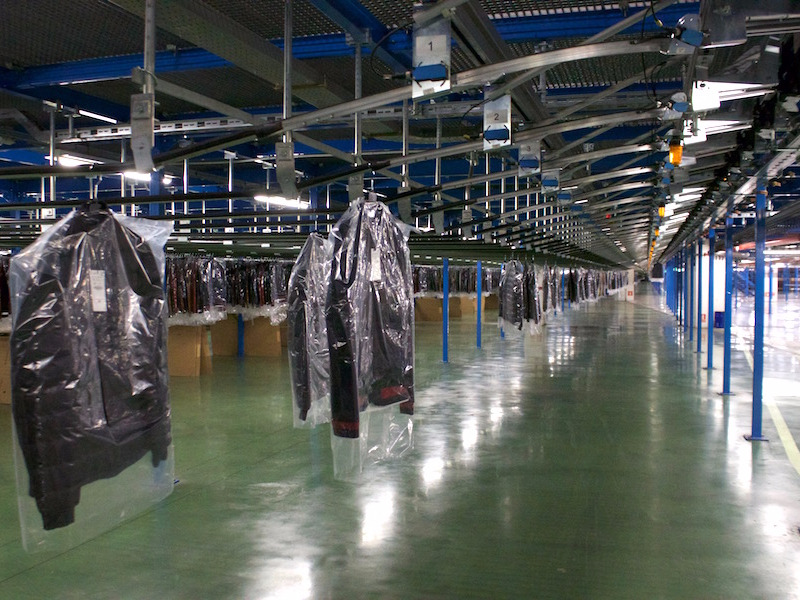 These factories are connected to the distribution center through a network of secret underground tunnels that transport clothing on electric hanging rails. Other items are sent to external factories around the world. However, all the manufactured items will return to one of its distribution centres to be sent out to stores. The factory that we visited solely manufacturers clothing for Zara’s womenswear collection. The first step of the process is to set the patterns to the fabric. InditexThe colours on the screen represent the various pieces that make up an item. 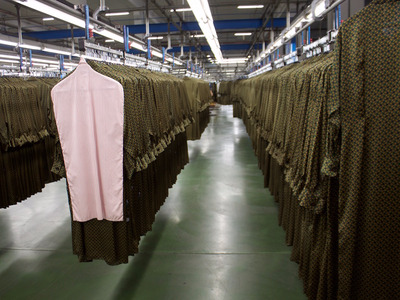 An Inditex spokesperson compared this process to a game of Tetris. The game here is to fit as many pieces as possible into one piece of material, in order to be most economical with the fabric. The pattern layout is then sent to a machine that prints a life-size copy, using the relevant information about what part of the garment each piece is. 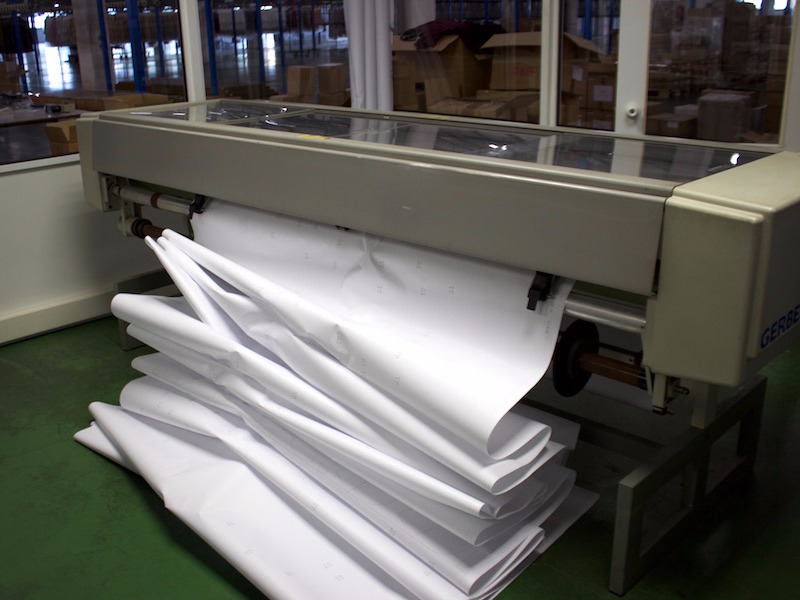 The fabric is laid out under large cutting machines, and the paper is placed on top. Both materials are held in place with a tight plastic sheet. 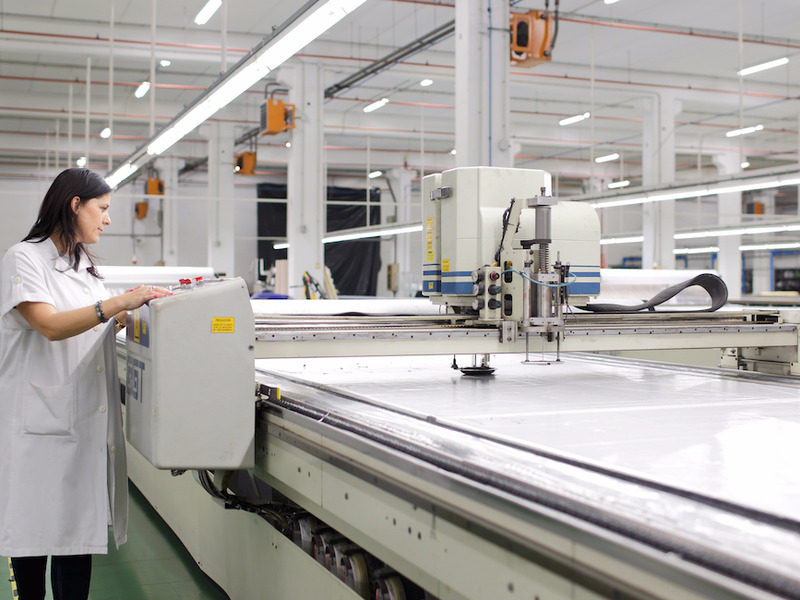 The machine slices through the material, cutting out the individual pieces of fabric. 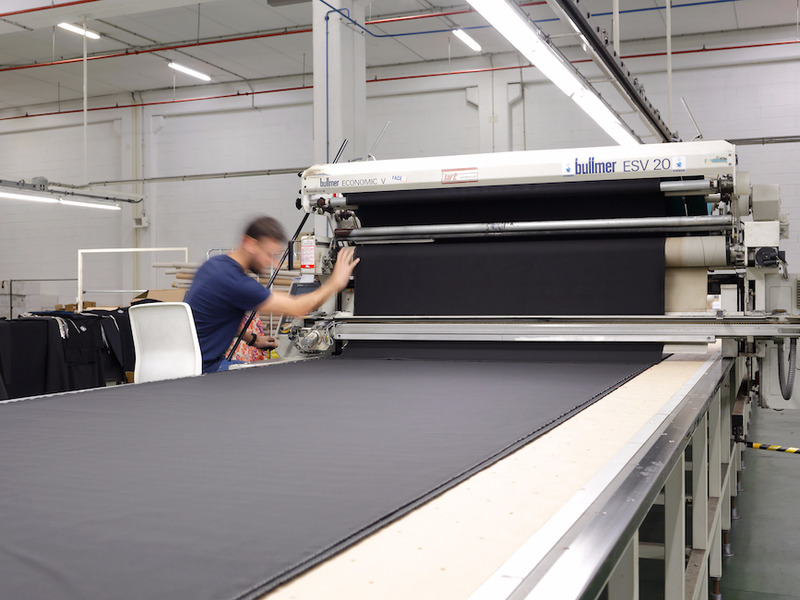 On thinner fabrics, 200 layers can be cut at one time. Once they have been cut, the paper and fabric pieces are boxed up together. 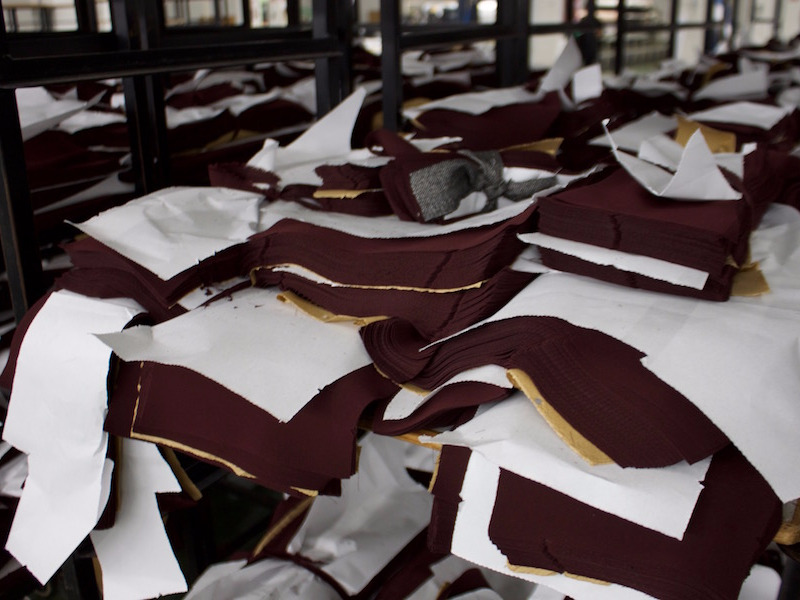 The paper has all the details for the factory workers to see where these pieces need to be sent next, and which part of the garment they will make up. 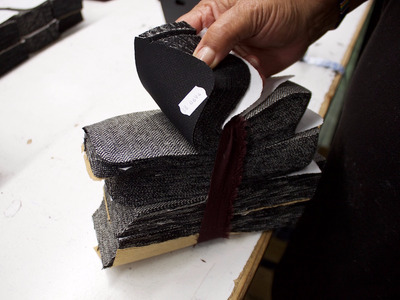 These pieces are sent to external factories to be sewn together, along with a prototype of the item so that the factories can copy the exact design. Business Insider/Mary HanburyThe external factories are responsible for adding all the extra details such as internal labels, zippers, and buttons. A spokesperson for Inditex said that Zara outsources all of the stitching of its clothing. 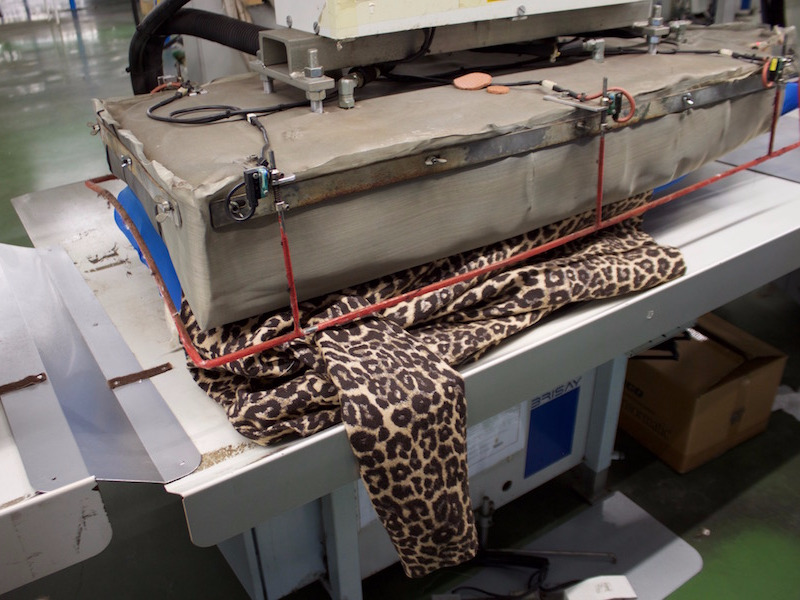 Once the item is sewn together, it returns to Zara’s headquarters. 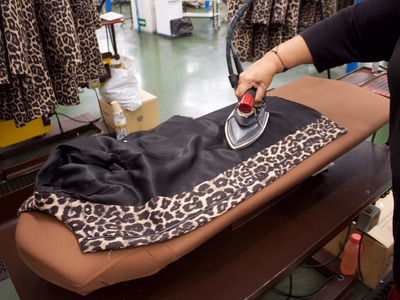 Zara’s more expensive items and its key products are sent back to the factory for individual quality checks. 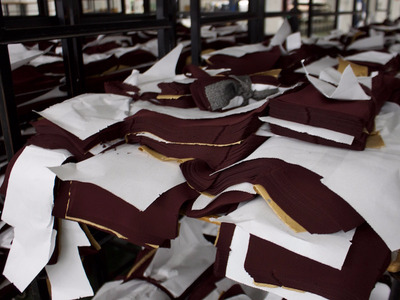 Pressing machines are used to flatten out the material. 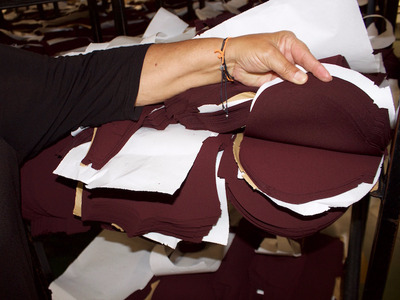 Sleeves are blasted with hot air to shape the fabric and stretch the stitching. 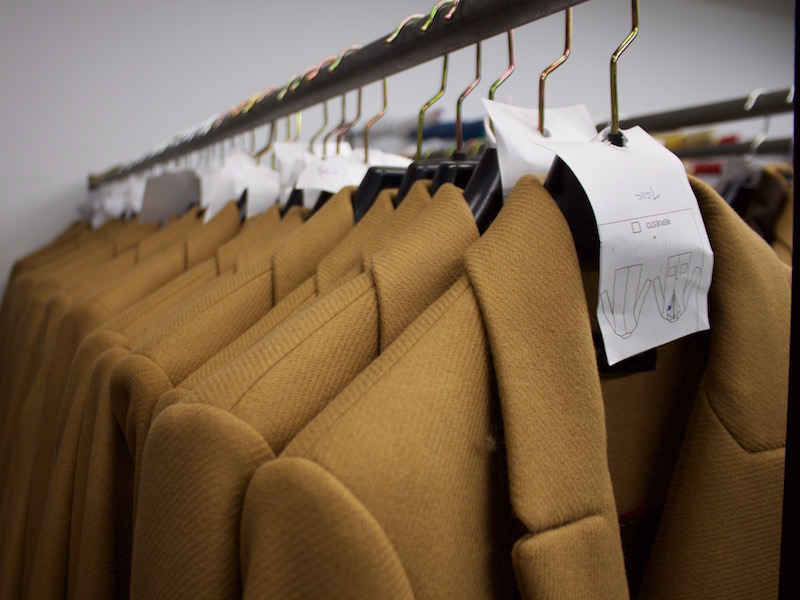 Each item is individually ironed. … to ensure there are no faulty stitches. Items that pass the checks are given a security tag. … and any small faults are fixed on sewing machines. Next, we headed to the distribution center. It is the largest of four in Spain and ships products to Zara’s 2,238 stores. Any items that have been created in external factories and are not considered to be “fashion-forward” but more straightforward designs, are sent directly to the distribution center. Zara relies on the external factories to do quality-control checks on these items, though spot checks are also done. “We can’t check one-for-one because there are millions; it’s impossible,” the spokesperson said. Boxes with newly sewn-together clothing are unpacked from trucks and immediately passed through a sensor machine. This machine is a crucial part of the operation. It is responsible for giving each item its Radio-Frequency Identification (RFID) tag. The machine will pick up how many items there are in the box and assign each one an electronic identity, which is stored in the security tag. This is used to track the item from the moment it arrives in the distribution center until the moment it is purchased by a customer in a Zara store. RFID is one of Inditex’s most recent innovations. It enables Zara to have an accurate and sleek way to track inventory levels. All of Zara’s products now have an RFID tag. This technology is expected to be rolled out to all of its remaining brands by 2020. 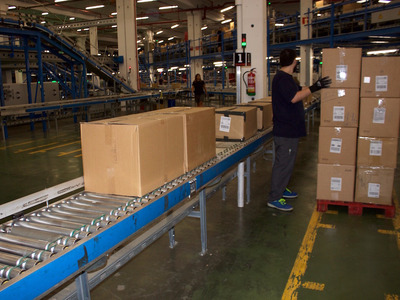 The boxes are placed on a conveyor belt and stocked in groups. These can be stored for several days in the distribution center before being shipped out. 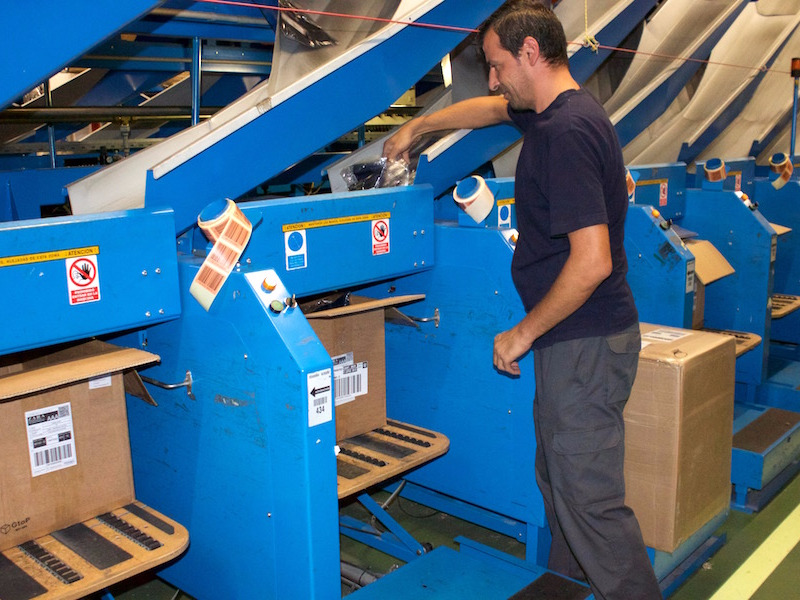 Items that are ready for shipment are removed from the boxes and distributed between the specific stores. Business Insider/Mary HanburyThese boxes are full of an assortment of different items of clothing. Information on the computer system informs employees exactly how many items should be sent to each store. These amounts are determined in advance using feedback from store managers about what is popular with their customers and historical sales data. Store managers liaise with the design and commercial teams on a daily basis. 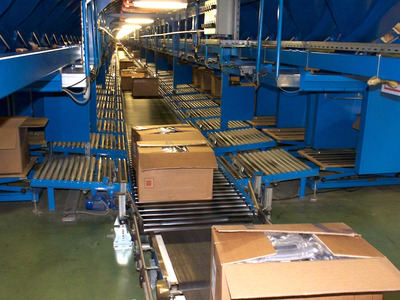 The full boxes are then placed on another conveyer belt to be sent out for delivery. 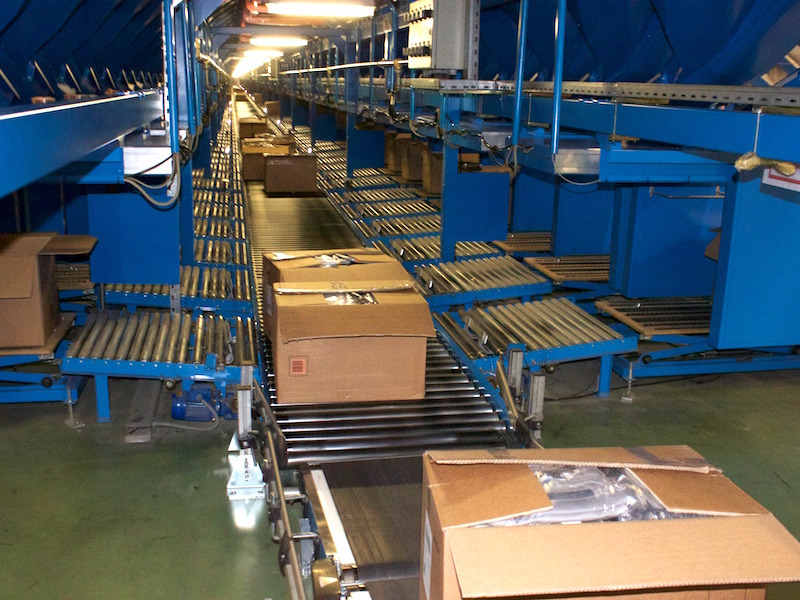 All European boxes are delivered by rail. The rest of the world is sent via plane. We spotted a string of deliveries headed to European cities and towns including Avignon, France; Northampton, England; and Seville, Spain. 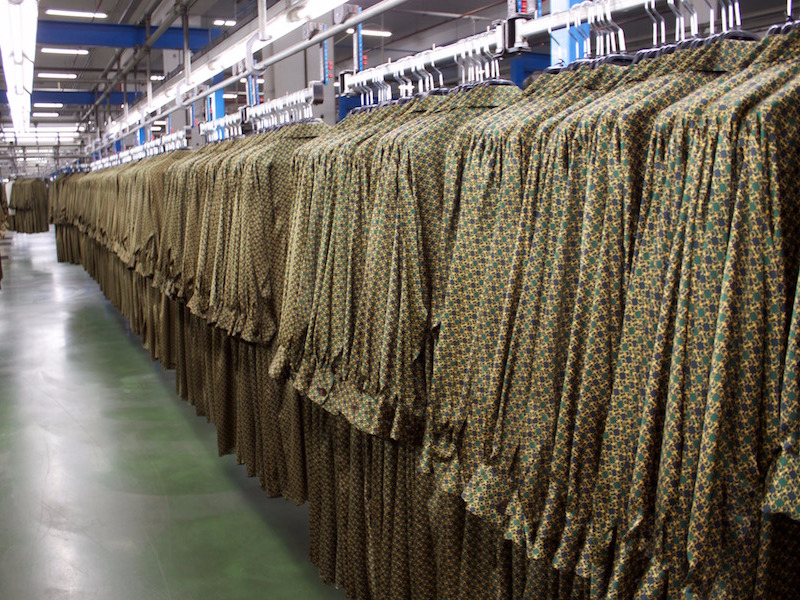 In a separate corner of the distribution center, hanging garments that have passed the separate quality-control process are also waiting to be shipped. Courtesy of InditexThese items are shipped in plastic cases inside larger boxes. Because they are not folded up, sales associates are able to hang them immediately when they arrive in the store. Within 36 hours, delivery boxes reach the furthest points of Europe. In 48 hours, they reach the rest of the world.